betty for schools provides free PSHE Association accredited resources that teachers can use to educate their pupils aged 8-12 about periods. Breaking the taboo surrounding periods all starts with education. betty for schools provides free PSHE Association accredited resources that teachers can use to educate their pupils aged 8-12 about periods. We have developed innovative and experiential lessons which encourage open and honest conversations about menstruation and the way it affects girls. betty is the teenage brand supporting and championing girls on their way to adulthood, providing the support and knowledge needed to be totally confident when it comes to starting their period. Our role is to be the best big sister to young teens going through all the dramas and awkwardness of growing up, especially when it comes to the topic of periods. Breaking the period taboo all begins with education by encouraging open, honest and real conversations. betty for schools is helping to create a generation of girls and boys who are truly at ease talking about periods, through both our innovative period products and award-winning education programme. We've worked with young people and education experts to develop curriculum-linked lessons for 8-12 year olds that encourage open, respectful and honest conversations about periods and the way they affect girls. Our PSHE Association accredited resources are film-led, with a mix of animations, quizzes and interactive activities, making it easy for teachers to deliver our sessions with confidence. betty for schools is breaking the taboo around period education, addressing both girls and boys using resources that are designed with young people and education experts. betty for schools has positively impacted thousands of students across the UK, breaking down barriers in period education and helping to fight period poverty. betty for schools has worked with over 17,000 students and their resources have been downloaded over 60,000 times. Girlguiding partnered with betty to provide opportunities for our young members to engage conversations around periods. The key element of our partnership focused on educational activities at events. The first was at our summer festival, Wellies and Wristbands. Over the weekend around 2,000 girls visited the betty buses, taking part in the games and learning more about periods. These activities proved to be incredibly popular with girls and leaders alike, who were delighted that we were able to offer something fun which could help reduce the stigma around talking openly about periods. 'The guides were loving the betty bus. What a fabulous thing to offer at Wellies and Wristbands. Keep up the great work' Alison, Guide Leader, Bristol The second event was on a much smaller scale and we were joined by 23 Guides from a group in Hackney for a betty themed sleepover. From the beginning the sessions run by Becky Hipkiss were brilliant. The girls came eager to get involved and with lots of questions and interesting myths that they'd heard about periods. With fun, engaging and creative activities the betty team helped to ensure the girls left better informed and more confident about periods. We received incredibly positive feedback from the girls and the leaders who attended both events and look forward to working with betty again in the future. Leading the workshops was a truly beautiful experience. To work with, and listen to young boys sharing their thoughts and views on periods was amazing. 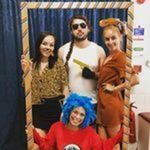 This was all helped by being able to use fantastic resources, which are simple to use, down to earth and really in fitting with the target audience. They break the taboos and make the whole situation comfortable to talk about, and every single session that I’ve ever ran has made such a difference to the students involved. betty for schools is a great resource for both students and teachers. When it comes to period education, it can often be awkward and uncomfortable for all involved. betty for schools creates an open and honest conversation in the classroom, makes the topic fun and engaging and unites both boys and girls. Both the online and printable resources are a huge asset in the classroom when teaching about menstruation. I would highly recommend betty for schools! We understand the struggles that come with periods and growing up and we’re here to help break the taboo with our free PSHE Association accredited resources and experiential workshops. We get that periods can seem a bit daunting but don't worry, we're here to help! 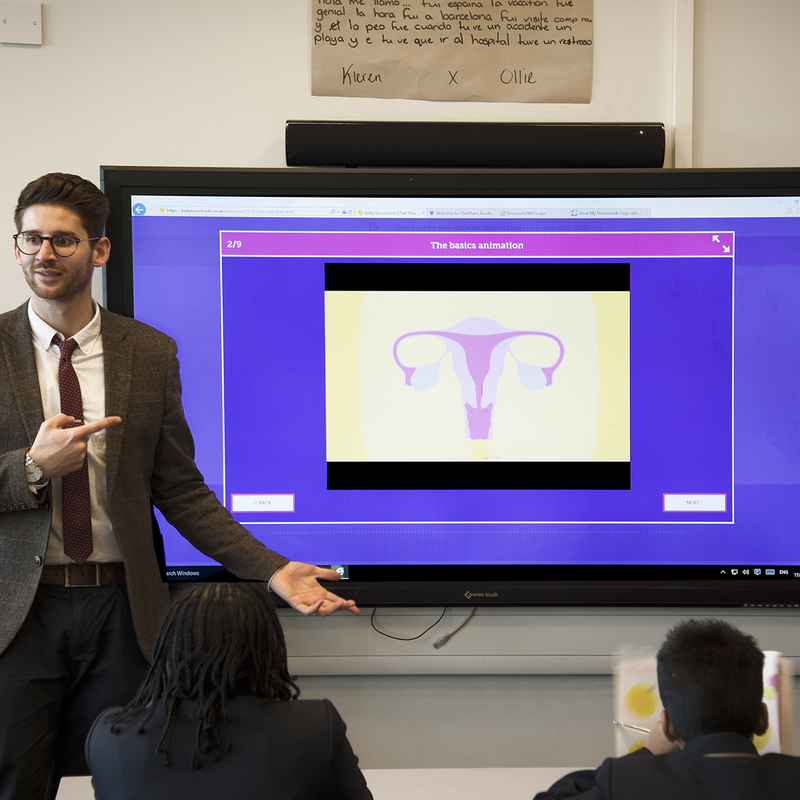 Our interactive films have proved really popular in classrooms, plus our student booklet is a handy guide to all things period-related and will set minds at ease. Parents, there are resources for you too! At betty, we encourage open and honest conversations about periods, making us your child’s go-to place for period and puberty advice, plus fun quizzes and lifestyle features. And don’t worry, we’ve got you covered too – our Parents’ Hub is a supportive space for grown ups to get clued up on puberty.